As RDMs (Rockstar Doggy Mommas) we’re all busy ladies with a long checklist to accomplish in any given day. And in order to rock our day to the fullest, we need to stay energized. Do you ever “forget to eat” and then look at the clock to find it’s already mid-afternoon?! Remember to keep your metabolism humming and energy levels up throughout the day you need to keep fueling yourself roughly every 4 hours. Therefore, proper snacking is critical especially when you hit the late afternoon slump. In addition, smart snacking keeps your cravings in check which will help you attain (and maintain) your weight loss goals. For instance, a handful of popcorn or an orange will not sustain you, but if you pair it with a lean protein source you’re golden. As a rule of thumb choose a lean source of protein and pair it with a fruit, vegetables or whole-grain. 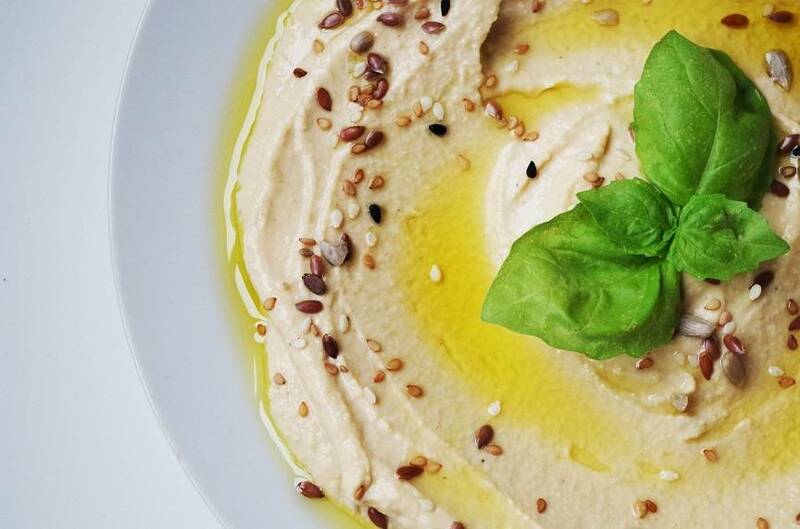 Make sure there is no garlic or onion in the hummus because these vegetables can be toxic for your dog.